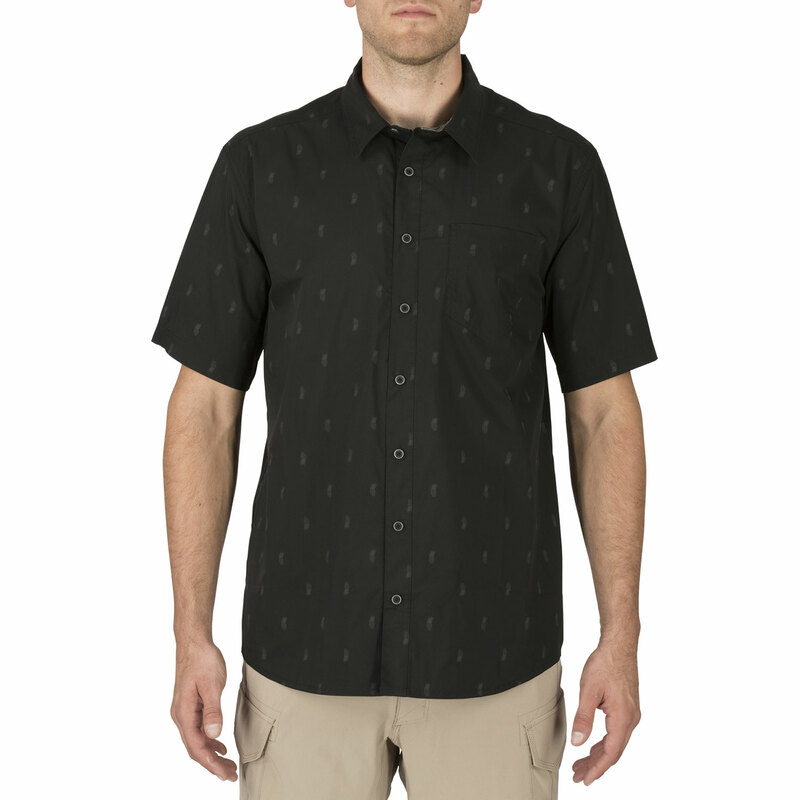 With its versatile function and casual comfort, the Five-O Shirt supplies the same CCW features of 5.11’s covert line but with a whimsical pineapple grenade pattern and a subtle nod to Hawaiian prints. Two-way mechanical stretch improves your range of movement, with a custom fabric blend that prevents firearm printing. RAPIDraw™ placket provides quick access to your holster, while 5.11’s mesh patented pockets give you a concealable place to store documents.